Increasingly fierce competition in the commercial space launch market has driven established launch providers to seek ways to become more flexible and innovative. 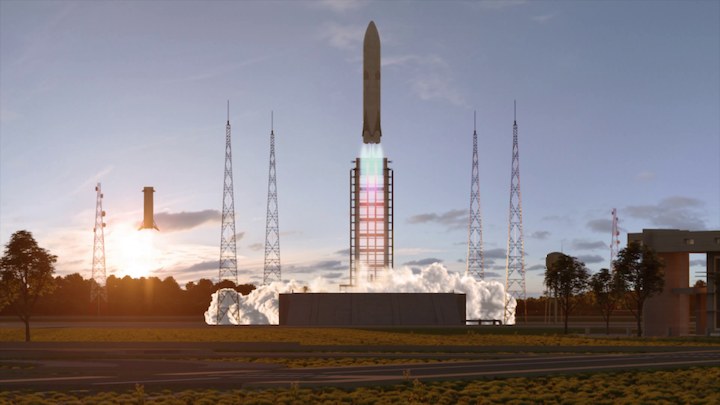 French aerospace company ArianeGroup and the French space agency CNES (Centre National d’Etudes Spatiales) signed a memorandum of understanding on Feb. 21, 2019, to create an acceleration platform dedicated to the development of future launch vehicles. The new platform is called ArianeWorks and is intended to spur innovation by bringing teams together under one roof and connecting them to Europe’s space ecosystem. CNES and ArianeGroup have been long-time collaborators on the Ariane series of rockets and are currently developing the Ariane 6. They have also been working together since 2015 on development of the Prometheus (Precursor Reusable Oxygen METHane cost Effective propUlsion System) rocket engine. The two organizations have also been working with the German Aerospace Center and the Japan Aerospace Exploration Agency to develop a reusable first-stage demonstrator called Callisto, which is scheduled to make its first test flight from the Guiana Space Centre in late 2020. ArianeGroup and CNES hope to use ArianeWorks to foster innovations by creating a new style of partnership work together in a highly flexible environment, with the goal of accelerating the ArianeNext roadmap and the Themis reusable first stage demonstrator in particular. The Themis demonstrator is planned to utilize technologies developed for Callisto and be powered by the oxygen- and methane-burning Prometheus engine. Prometheus is designed to be reusable up to five times and is capable of producing variable thrust up to 100 tons, according to CNES. The engines architecture makes extensive use of 3D printed parts and a production rate of 50 engines per year is predicted. The first hot-fire test of Prometheus is scheduled for 2020.